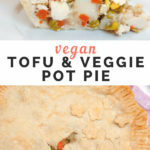 This savory vegan pot pie is easy to make and loaded with veggies and tofu. 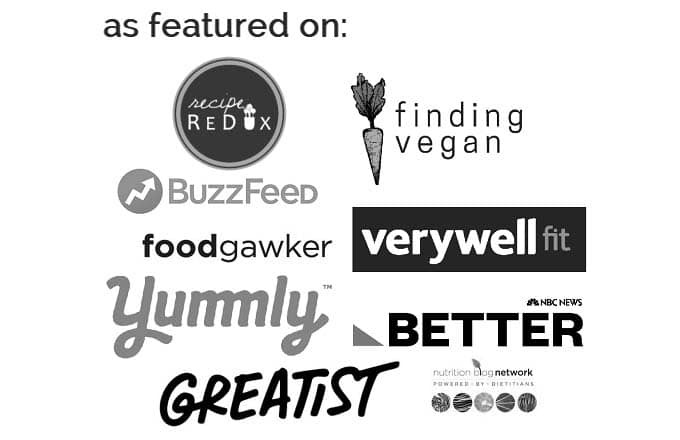 It’s the perfect vegan comfort food recipe for a cozy night in. I grew up eating frozen pot pies and homemade pot pies. However, most store bought pot pies are not vegetarian and certainly not vegan, so when I stopped eating meat I had a bit of learning to do. 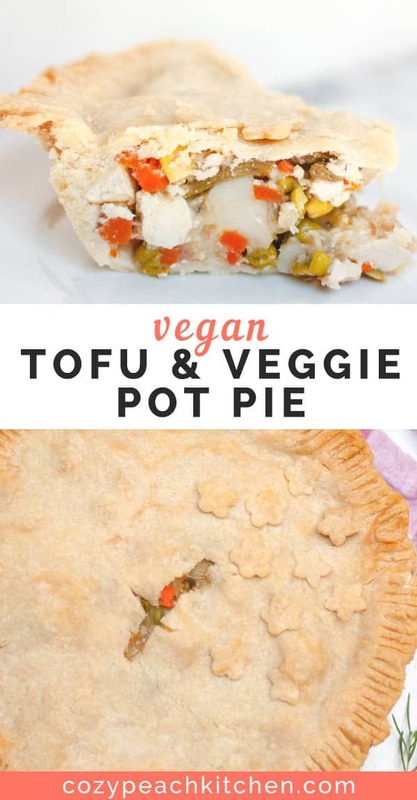 Lucky for me, vegan pot pie is one of my favorite recipes to make. This is one of the first recipes I made when I got into cooking early in college. I felt SO great after I brought that first golden pie out of the oven, bubbly and smelling of fresh herbs and veggies. 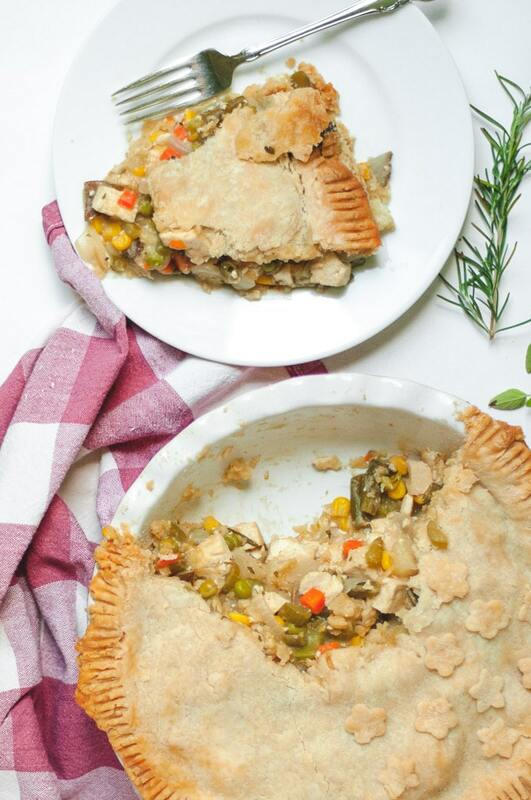 After years of making this pot pie, this recipe is ready to be enjoyed by all of the vegan comfort food lovers out there! 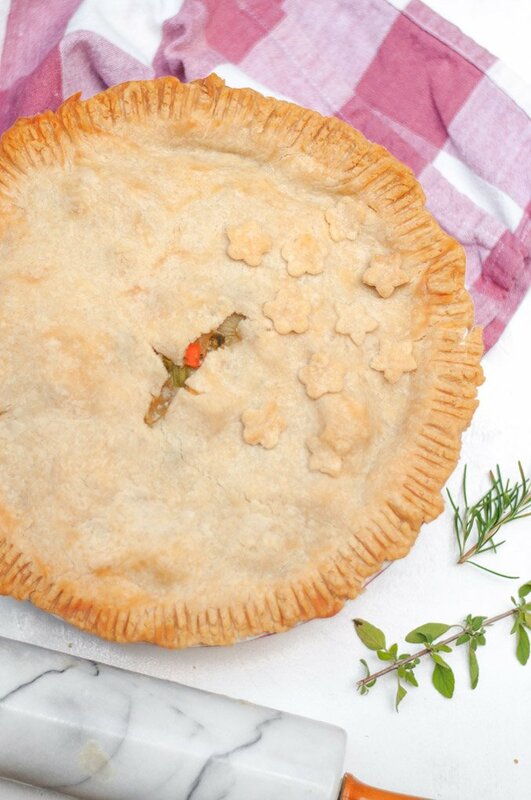 Don’t be intimidated by the idea of making pot pie – it’s actually really straightforward and easy to make! 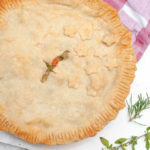 If you don’t want to make a homemade pie crust you can use puff pastry or a premade pie crust. I’ll admit that the homemade pie crust is just too delicious for me to say no to, so I like to put in the extra 10 minutes if I have the time. Cook the potatoes in vegetable broth until al dente (slightly firm). The vegetable broth gives the pot pie a lot of flavor, so if you opt to use water you’ll want to adjust the seasonings later on. Saute the diced onion, celery, and tofu in olive oil. Make a roux (a mix of fat, flour, and liquid) by combining the flour and vegetable broth from the cooked potatoes. Add in the remaining ingredients (potatoes, frozen veggies, soy sauce, fresh thyme and rosemary). Simmer until the sauce is thickened to an alfredo-like consistency, about 5 minutes. Roll out the pie crust and place the bottom layer in the pie dish. Add your vegan pot pie filling then cover with the second pie dough, pressing lightly to seal the edges. Bake for 50 minutes to an hour, until the pie is golden brown. 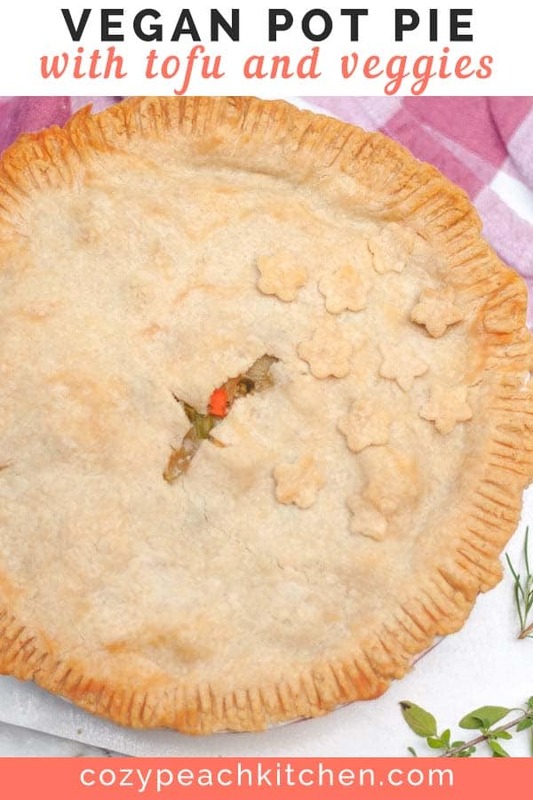 Check out this oil crust recipe for tips on how to make a vegan pie crust. You can use any kind of frozen mixed veggies. I use the corn, carrots, peas, and green beans mix, because that’s my idea of a “classic” pot pie filling. Looking to cut down on pie crust? Skip the bottom layer of pie dough and enjoy with just the top layer of pie crust. 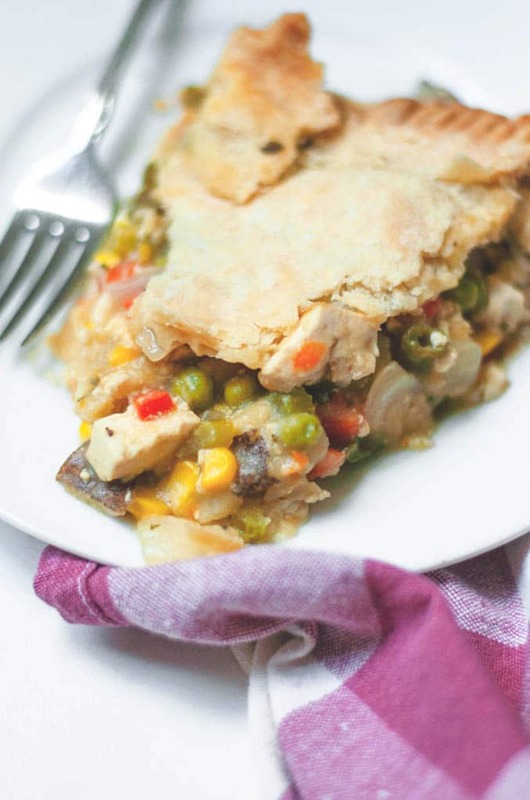 PS: this pot pie makes great leftovers! 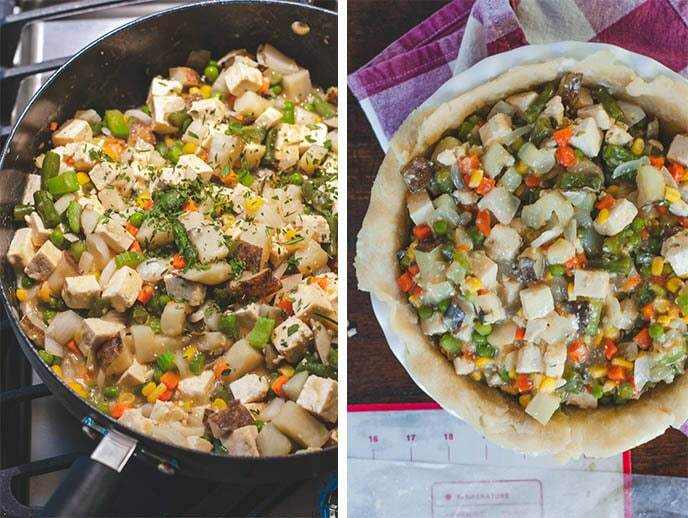 A hearty vegan pot pie made with tofu and veggies in an oil based pie crust. Combine the potatoes and vegetable broth in a medium sauce pan. Bring to a boil and simmer until al dente, about 10 minutes. When cooked through, drain the potatoes, making sure to reserve the vegetable broth. Meanwhile, in a large pan heat the oil over medium heat. Saute the celery, onions, and cubed tofu for 5 minutes, stirring occasionally. Add the flour to the oil, celery, and onions. Stir for about a minute to brown the flour. Slowly mix in the reserved vegetable broth. Make sure to mix in the vegetable broth very slowly while whisking to prevent lumps from forming. Stir in the soy sauce, cooked potatoes, frozen mixed vegetables, and fresh thyme and rosemary. Bring to a boil, then reduce to a simmer. Simmer until the sauce is thickened to a gravy-like consistency, stirring occasionally. This will take about 3-5 minutes. Taste and adjust for salt and pepper as desired. Prepare your pie crust according to recipe instructions. 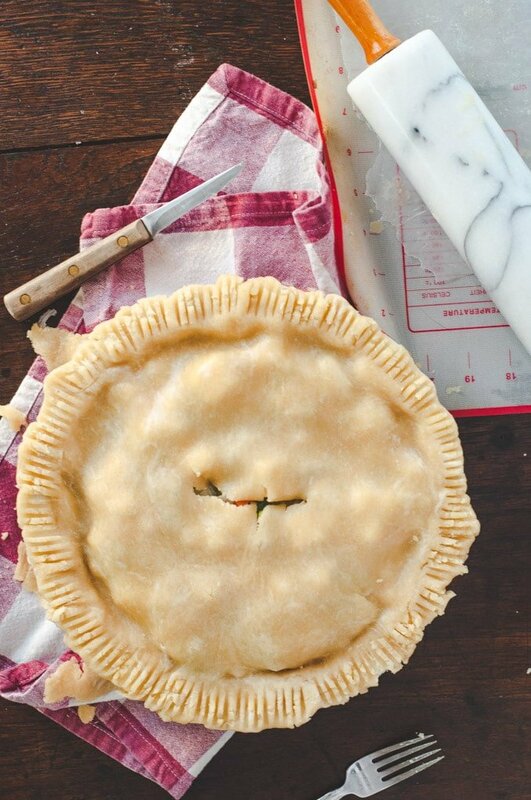 If using the Cozy Peach Kitchen Pie crust: place the bottom layer of the pie dough in a pie dish, patting it into the dish as need. Fill with the vegan pot pie filling. Place the second pie dough layer on top and trim off excess. Press the edges of each pie dough lightly together to seal. Cut 1-2 small slits in the middle for venting. Bake at 350F for 50 minutes to 1 hour, checking occasionally to prevent burning. The pie is ready when it's golden brown. Allow to cool for 10 minutes before serving.